“Okay, I’m done. Now hurry!” the makeup artist cried out. “You’re up in two minutes. “Maude,” Matt whispered, tugging her sleeve. “Yes?” She looked back at him, smiling. “I know, Matt,” Maude smiled gratefully. “Give a round of applause for Maude Laurent!” the host cried. “That’s your cue! Go!” Matt urged. Maude reluctantly turned away from Matt and hurried on stage. The blaring lights blinded her as she entered the stage and faced the cheering crowd. trembling, and her voice hadn’t been shaky. Maude sat on the piano stool and looked towards the crowd. 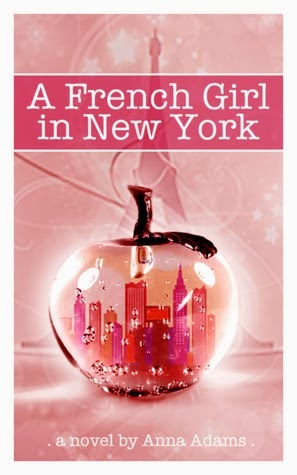 She's the author of the French Girl series for which she is writing the final installment. When she isn't writing, Anna is busy hanging out with friends in the Marais, going to the movies in the Bercy Village, checking out exhibitions at the Louvre, going to the Opéra de Paris and shopping on Haussmann Boulevard. When she isn't in Paris, Anna likes to travel in Europe and dreams of going to Asia and Africa.